Decorate your car windows, laptops, tablets, notebooks, and binders for home or your office with Ant Lucia's popular pin-up-style redesign of Hawkgirl! 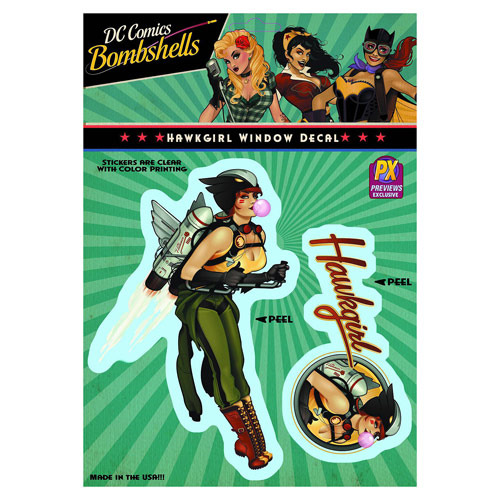 The DC Comics Bombshells Hawkgirl Vinyl Decal - Previews Exclusive consists of 2 clear decals with color printing. Stickers measure up to approximately 7 1/2-inches. Ages 12 and up.